How to create a slider for JFrame transparency and make JFrame transparent accordingly? First create a frame that has a slider in it which will be used to set transparency amount. Now add a change listener to slider so we can monitor it. 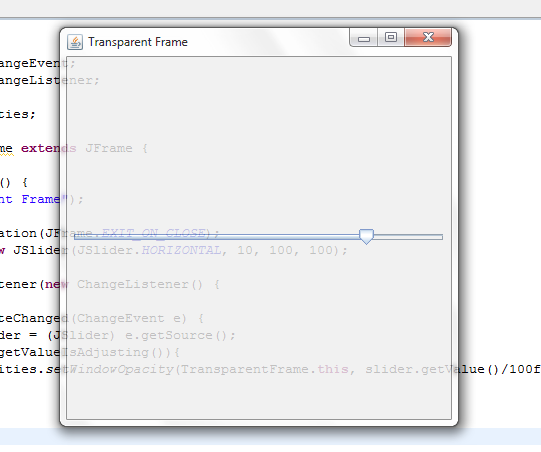 Now we will write our transparency logic in this method but before we do that first let’s see how to make a JFrame transparent. Window – Your frame/window object. floatOpactity – between 0 to 1. 1 for no opacity and 0 for fully transparent. 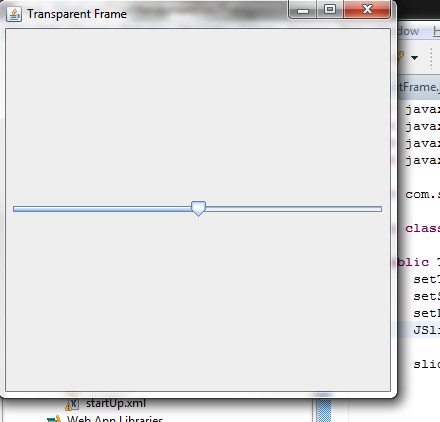 So now when we run this program we see a frame with a slider in it which is set to end. And when we change slider the frame accordingly change its transparency. Right click on your project. Select properties. Select Java compiler and expand it. 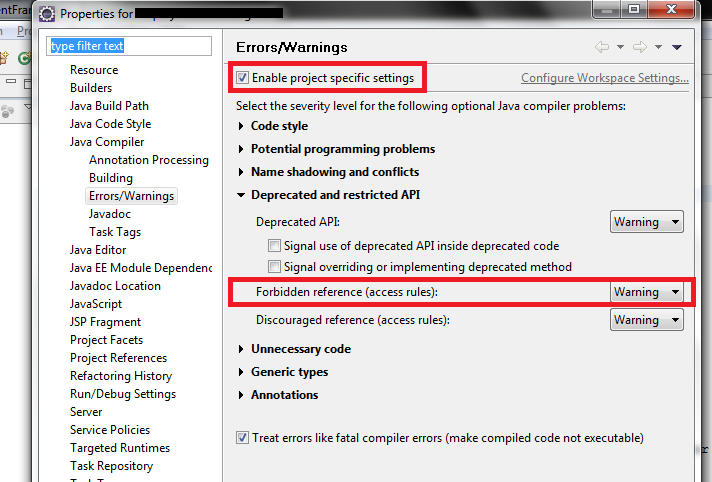 In Deprecated and Restricted API you will find Forbidden References (access rules.) Change it to Warning or Ignore.